This is the window for changing balance of an account . For a description of the buttons please scroll down. This is the window for changing balance of an account. : It will cancel the changes you have done and take you to main window of HERA. 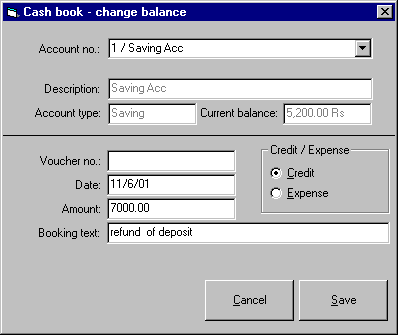 : It will save the changes you have done in the account.